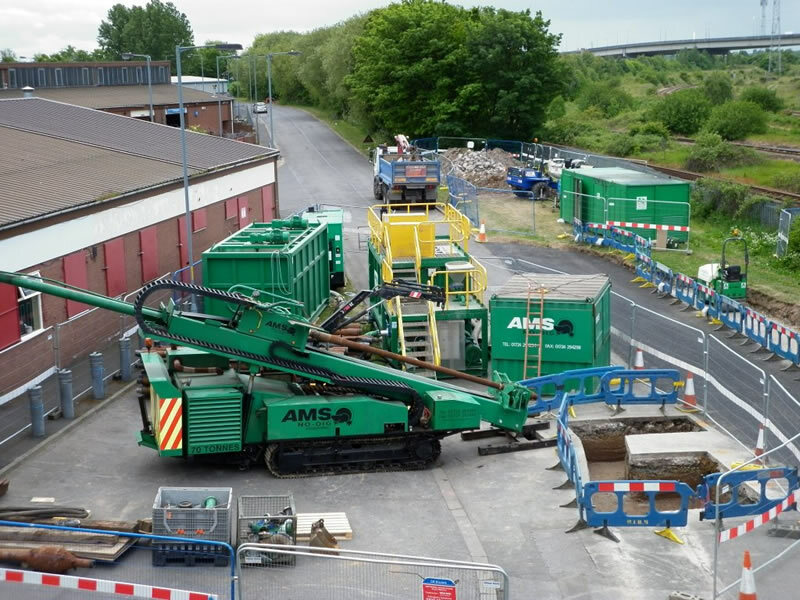 AMS No-Dig has recently completed a high profile project for Balfour Beatty Utility Services, on behalf of CE Electric, which involved the installation of multiple cable ducts under the River Tees at Middlesbrough. 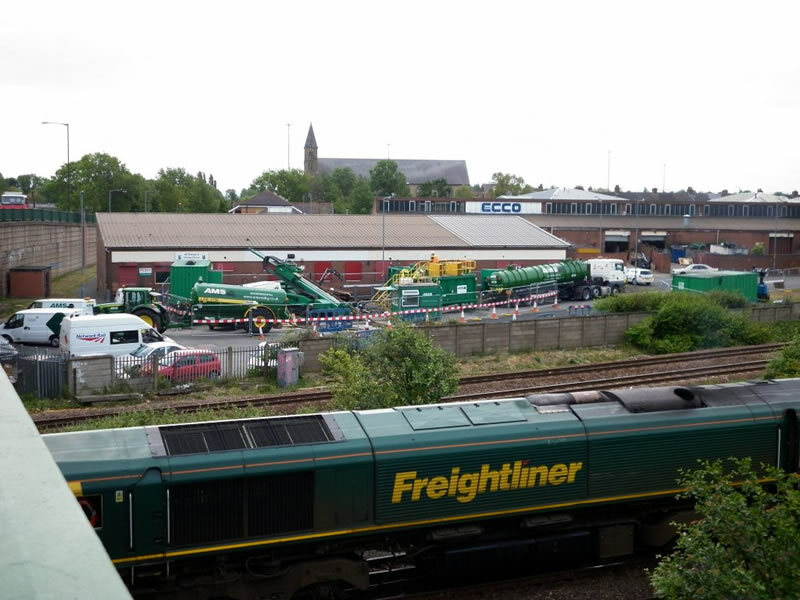 The purpose of the scheme was the replacement of the existing overhead power lines with new cables running under the river bed and the main railway lines which run along the side of the river. Under normal conditions a Magnetic Guidance System (MGS) would be used to steer the pilot bore. The problem with using standard MGS steering tools is that if the steering engineer does not have the facility to lay out an energised wire grid on the surface above the drill path the accuracy of the tooling can be affected by magnetic interference either naturally occurring or from metallic structures in the vicinity. 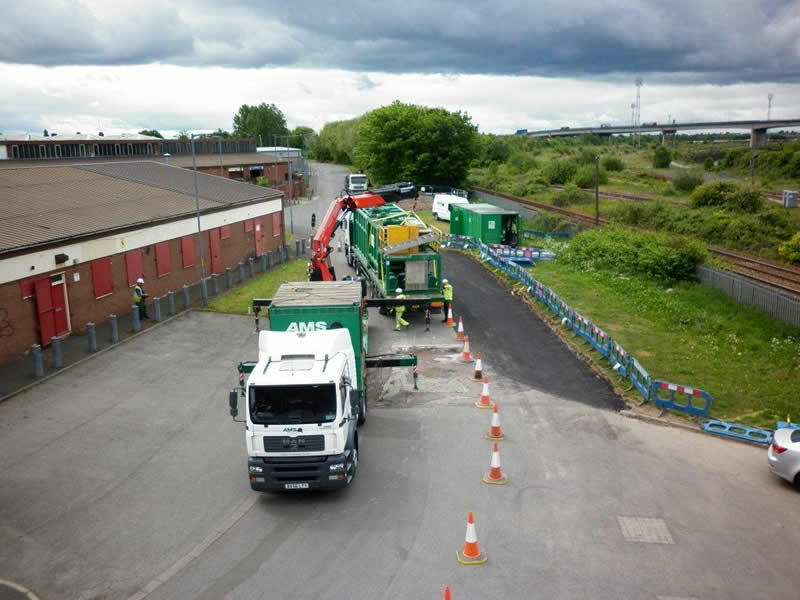 This scheme was particularly challenging as it called for the installation of two drill shots at 5m centres with a tolerance +/- 1m at the drill exit points. It was not possible to lay out a wire grid due to the presence of railway lines and the River Tees. 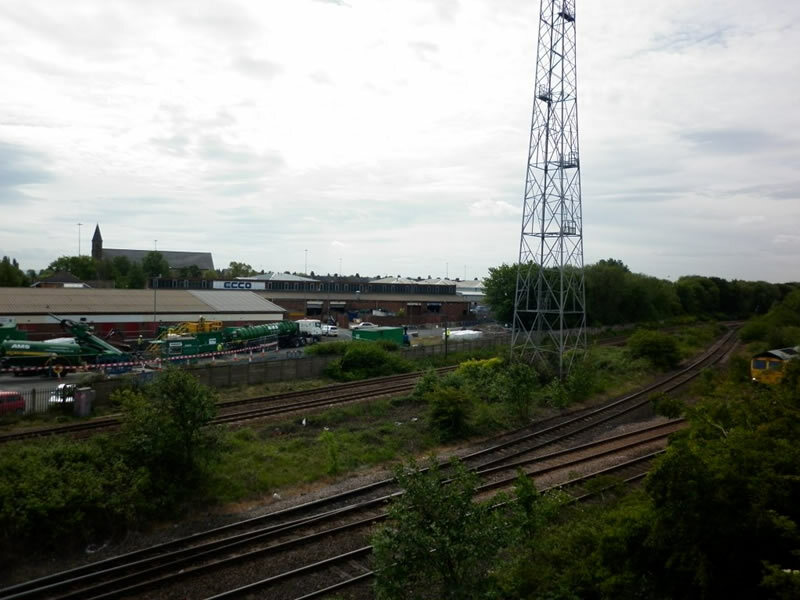 To further complicate matters Newport Road Bridge, a major steel structure, is situated just 20m to the side of the proposed drill line. Taking this into account it was clear an alternative solution would be required to drill the pilot bores. Enter the Drillguide Gyro Steering Tool (GST). The GST does not require a surface grid or non-magnetic drill collars as it is not affected by magnetic interference. The GST is accurate, on azimuth, to within 0.04 degrees. This means that at 500m it will steer to within +/-0.35m of the target line, well inside the tolerance specified. The system was ready to operate within a couple of hours of arrival on site. Input of entry and exit co-ordinates to WGS84 and of the tangent points along the route were all the set-up that was required. The steering tools performance exceeded all expectations and the scheme was completed without incident and within the required tolerances to the delight of all concerned.